Nathan Ruser, an Australian university student who first highlighted the issue, said he came across the map while browsing a cartography blog last week. The location of military bases is generally well-known, both from local knowledge and pre-existing satellite imaging tools like Google Earth. 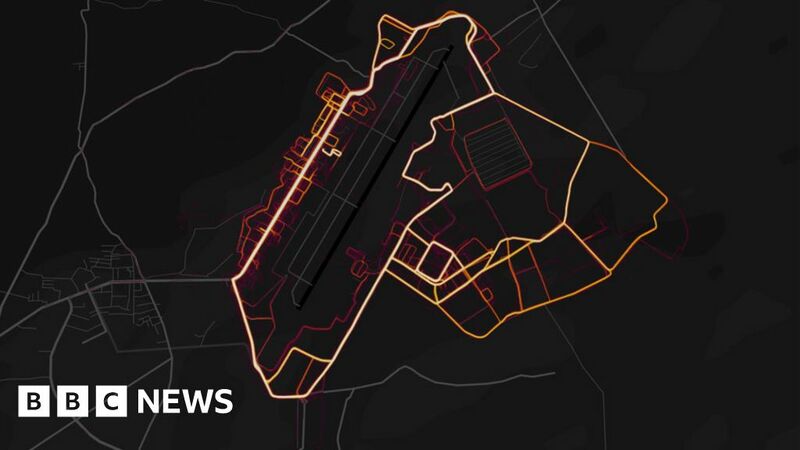 Furthermore, concerns about Strava’s heatmap are mainly centred around the fact that it displays the level of activity – shown as more intense light – and the movement of personnel inside the walls. It also appears that location data has been tracked in the area outside bases – which may show commonly-used exercise routes or patrolled roads. Mr Ruser, 20, said he was shocked by how much detail he could see. “You can establish a pattern of life,” he said. The app is far more popular in the West than elsewhere – which means foreign military bases stand out as isolated “hotspots” in the Middle East. Other easily identifiable bases include those used by the US in Syria and Iraq, a UK RAF base in the Falklands, and one used by French forces in Niger. Activity was also visible at the Russian base at Hmeimim in Syria. Millions of users track their location data with Strava while exercising, often using a fitness tracker worn on the wrist or a smartphone to automatically upload their location as they jog or cycle. In an engineering blog post from November, Strava said the newest version of the map was built from one billion activities – some three trillion points of data, covering 27 billion km (17bn miles) of distance run, jogged, or swum. “We are committed to helping people better understand our settings to give them control over what they share,” it said. The settings available in Strava’s app also allow users to explicitly opt out of data collection for the heatmap – even for activities not marked as private – or to set up “privacy zones” in certain locations. However there are now concerns around the security of the collected data, and the possibility for it to identify individual users. Mr Ruser, who is studying international security at the Australian National University, said anyone could have spotted the information. “I thought the best way to deal with it is to make the vulnerabilities known so they can be fixed,” he said.